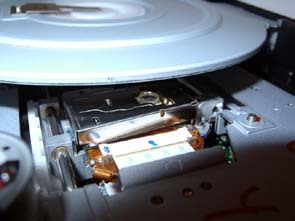 The drive came in the OEM package, i.e. only the drive itself. 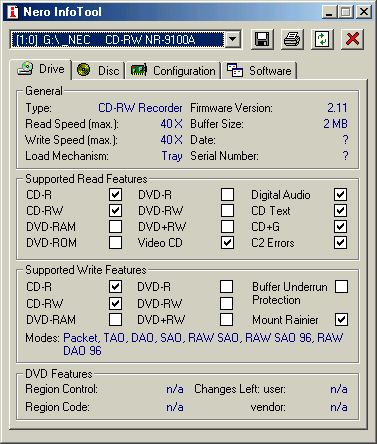 The NEC's drive is the only in the list which doesn't support an option used by the CloneCD when copying protected discs - RAW-DAO Write Simulation and a write speed over 10x for CD-RW media. 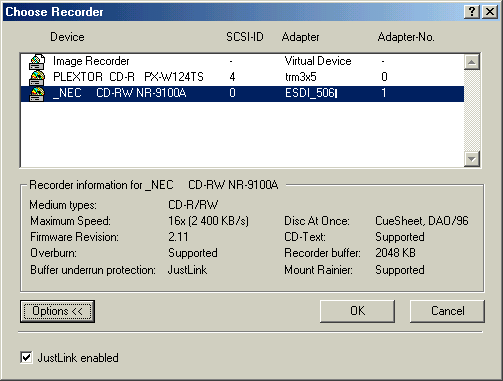 Like the AOpen's model, this one doesn't support speeds over 24x for recording CD-R with ATIP 4M. 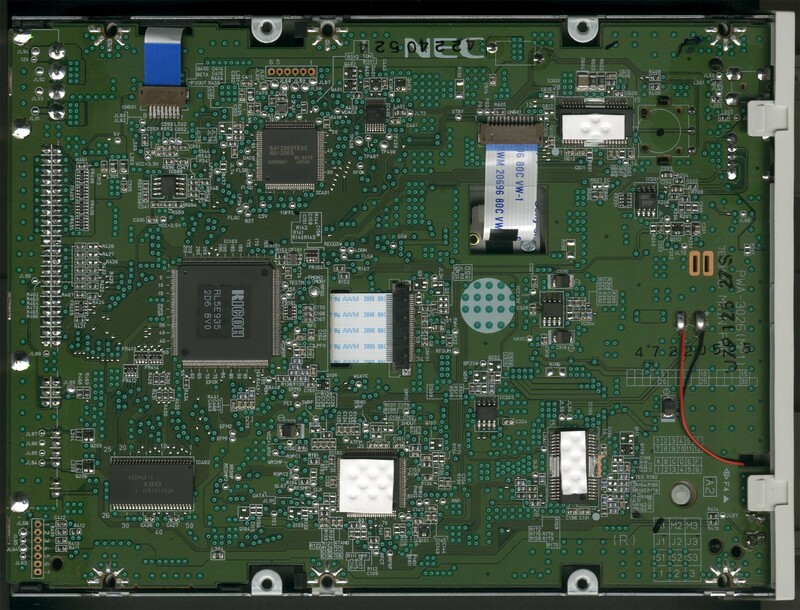 The NR-9100, like other models from NEC, doesn't like overburning. 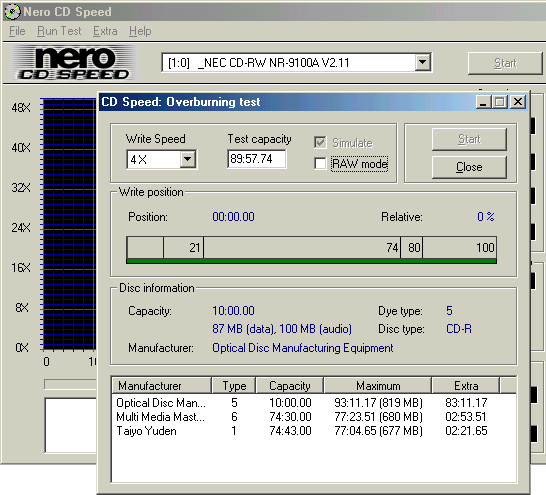 The utility of checking overburn in the Nero CD Speed locks the Start button, thus, making impossible even the test. 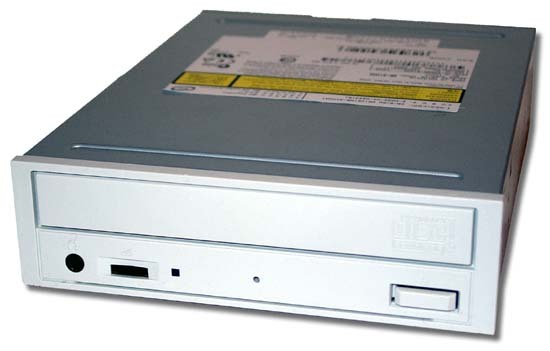 The insides of the NR-9100 are ordinary, the drive is based on the Ricoh's chipset. 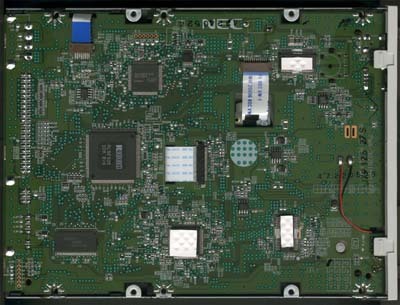 The design of the front panel maintains the tradition of the previous models: one LED working in a one-color mode, headphone jack, volume control, an emergency ejection hole and a rectangular tray button. The tray goes out with specific buzzing sound. 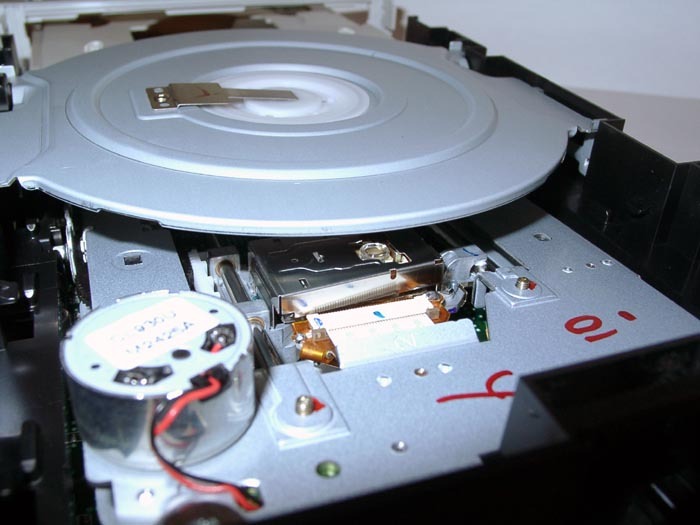 The rear panel of the recorder incorporates a digital-out.